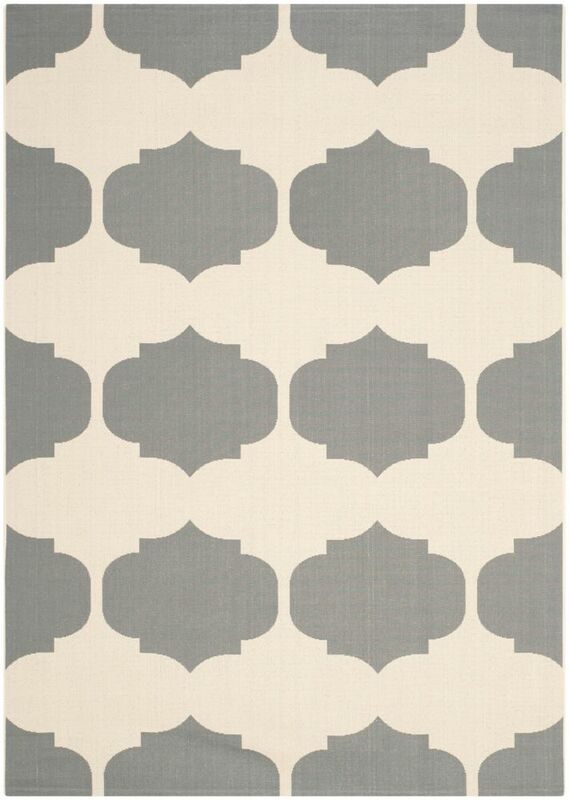 Place this Safavieh Courtyard area rug in your dining room when you need a splash of style. Bring this high quality plush synthetic indoor/outdoor rug into your home to upgrade your interior design immensely. Since it is machine-made, you can trust the quality on this rug. Bring this solid patterned beige tan rug into your living spaces for a contemporary design aesthetic. Courtyard Irene Beige / Anthracite 5 ft. 3 inch x 7 ft. 7 inch Indoor/Outdoor Area Rug This modern Safavieh Courtyard area rug will instantly improve any room you place it in. Decor done right with this indoor/outdoor piece, and its plush synthetic material. This rug is machine-made, which ensures a strong product. This beige tan rug with its geometric pattern is modern and stylish.